Five years after initiating work to redesign continuous cardiac telemetry ordering, Christiana Care Health System has sustained ordering levels that reflect evidence-based guidelines. Led by the Department of Medicine’s Section of Cardiology, the redesign initiative started in September 2012 as baseline data was collected about telemetry ordering. This happened ahead of the release of the Society of Hospital Medicine’s recommendation to question continuous telemetry. Embedding national guidelines around both indication and duration for telemetry into the computer order entry system and removing cardiac telemetry orders from disease-specific order sets where there was no clinical indication for monitoring. Creating a computerized, nursing-based clinical-decision support tool that included the display of patients’ vital signs in advance of discontinuing telemetry, which reduced unneeded process steps and empowered nurses to move forward with discontinuing telemetry or initiate consultations with physicians. Initiating conversations with other departments to identify clinical inconsistencies, which helped facilitate buy-in to the process changes. Now, a few years later, telemetry utilization rates remain constant at these levels when adjusted for an increase in hospital admissions, indicating evidence-based ordering. 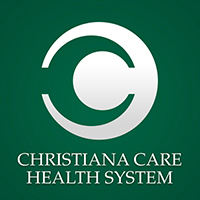 Since publishing their results, Dr. Dressler said that over 50 organizations have reached out to Christiana Care to learn more about reducing unneeded telemetry.